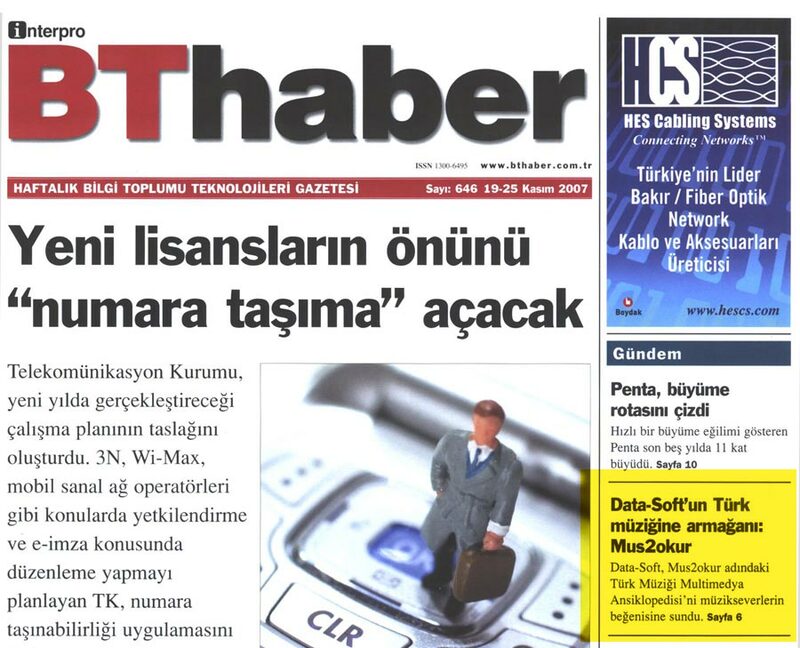 Click here to see a scan of the article. 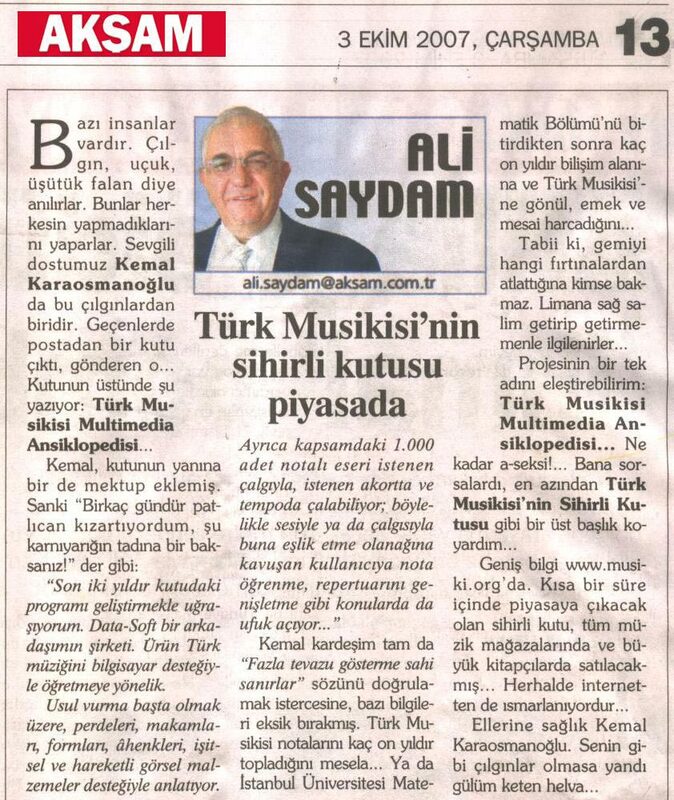 Click here to see a scan of the interview (in Turkish). Click here to read the full text in English. 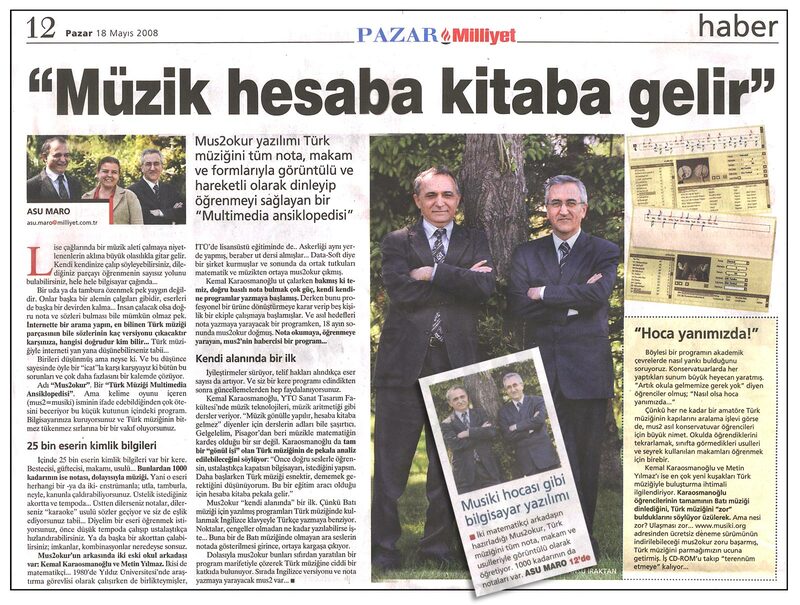 Click here to see a scan of the entire article (in Turkish). 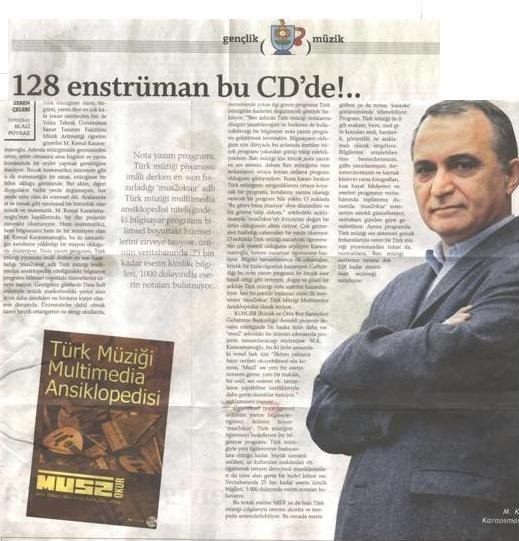 Click here to see a scan of the article (in Turkish). 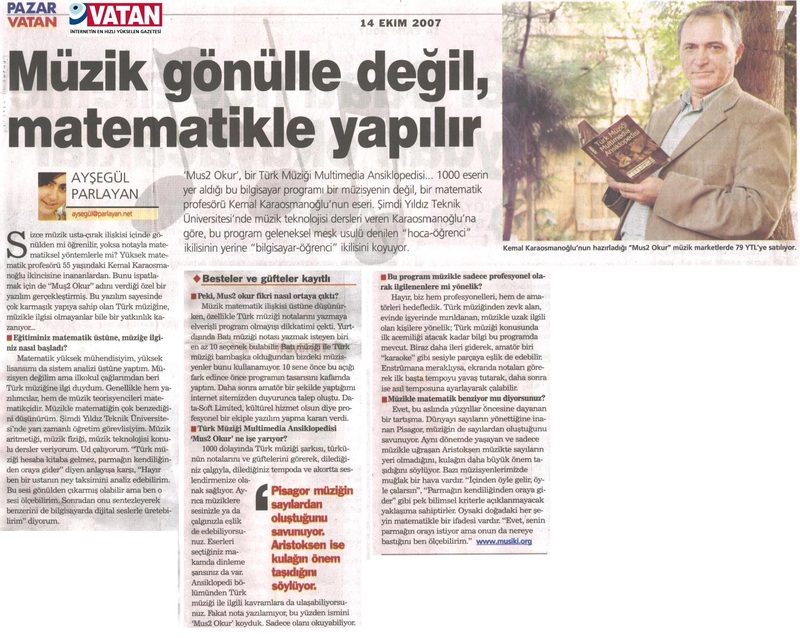 Note from M. Kemal Karaosmanoğlu: In the interview it is incorrectly stated that I am a "Senior Professor of Mathematics". Similarly, the suggestion in the headline is in reality as stated in the last sentence of the interview.